As a selected secondary payload, the mission of the “nanoprobe” Deep Space Sculpture DESPATCH is both artistic and technical. First, DESPATCH is a deep space art object that will be cast into deep space by a rocket launcher. 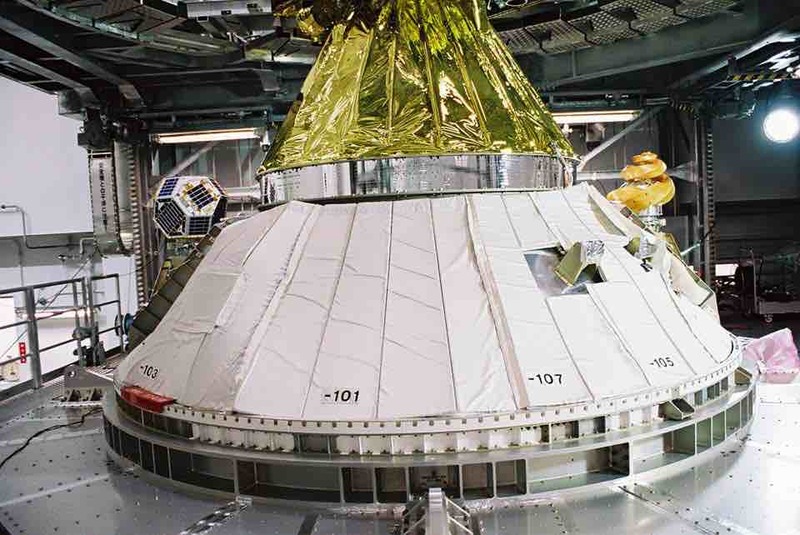 The spacecraft will be crafted as a physical art object. It will be sent into an Earth-escape trajectory as a “nanoprobe” secondary payload on an H-IIA launcher. The first art mission is the design and fabrication of a “deep space sculpture.” This spacecraft-as-art-object will be equipped with an on-board computer (project code name: Morikawa 3) that’s been designed by the ARTSAT project for the extreme environment of the mission. An algorithm running in Morikawa, one that draws on readings from all of the sensors installed in the spacecraft, composes and encodes poetry reflecting not only the sensor data but the artist’s subconscious personality — a kind of “tele-creation” process. The poetry will be transmitted on the CW beacon. This is the second art mission. The signals from deep space will become unusually weak. Accordingly, we will try coordinated reception using what we call “cooperative diversity communications.” Many ground stations will receive fragments of the poetry broadcast, in an attempt to reunify the fragmentary transmissions. By reunifying data that’s received from ground stations around the world and shared through the Web and social networks, it will be possible not only to perform reconstruction and error correction on the contents of the poem as composed by the spacecraft while in deep space, but also to estimate the spacecraft’s trajectory by tracking it using measurements of the direction and Doppler shift of the signals. Cooperative reception of the spacecraft’s signals is this project’s third technical mission. 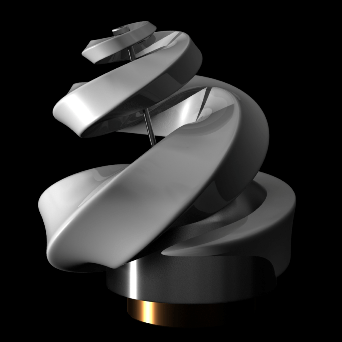 The design of the sculptural element as art object is computed, and the work itself will be 3D-printed.The geometric model parameters needed for the sculpture’s 3D printing will feed into finite element analysis of the structural, thermal, and electromagnetic characteristics of this spacecraft, and will also be applied to general engineering analysis of the sculpture element so as to determine how much it might reduce signal strength from the antenna. 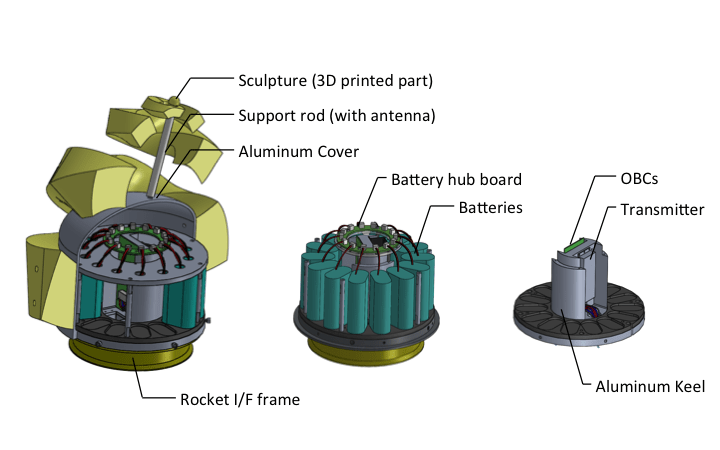 This project’s fourth technical mission is performing on-board verification of 3D-printed parts of the space instruments, which could lead to a general increase in the degrees of freedom for the design methodologies of space instruments and manufacturing techniques. For a successful community reception mission, which is the main mission of DESPATCH, it is necessary to as many as possible of the reception cooperation of amateur radio. Therefore, as the frequency of the transmitted radio wave, the most commonly used in OSCAR, and adopts a more stations large number of 430MHz band. (The carrier on / off, one-bit representation) is the most simple manner the CW as the modulation scheme is adopted, instead of sending radio waves in complex modulation scheme with a low output and simple modulation schemes as possible it is a design that enhances the reliability of the reception by sending a high output as possible radio waves. Also, as a side effect of employing a simple modulation scheme, not only to able to participate in the community receiving possible for many people, relatively to Colas its own device in each station upon receipt Since it is easy, it is considered to be achieved heterogeneous redundancy utilizing the diversity of ground stations. In accordance with such design, the specifications of the transmitter shown below is mounted to the spacecraft. This transmitter from west radio Institute Co., Ltd. is one that has been designed and developed by. The transmitter is driven by the computer a timer IC of spacecraft, the transmission power of 7W is radiated from the monopole antenna approximately. The antenna pattern obtained by simulation I is shown in FIG. In addition, the antenna is attached to GFRP made rod-like member which is disposed in the center of the shaped portion, the rod-like member connects the aluminum container that contains the communication device such as the tip of the shaped portion there. ARTSAT2, Despatch received 03-12-2014 22:25 UTC, FUNcube Dongle Pro +, SDR# and Spectran. Launched. ARTSAT2 DESPATCH is planned to launch in the 4th quarter of 2014 on an H-2A-202 rocket with Hayabusa 2 as the main payload, PROCYON and Shin’en 2 as secondary payloads.